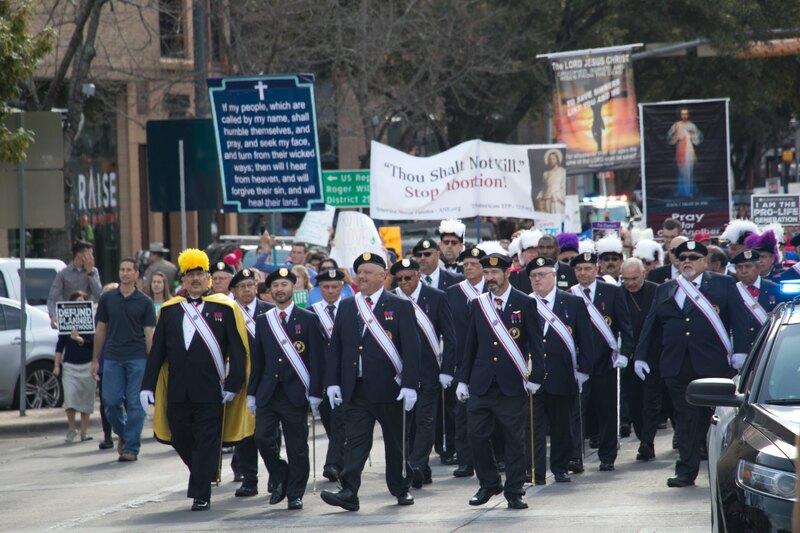 Knights of Columbus were front and center at the Texas Rally for Life 2019. The 4th degree along with Bishop Joe Vasquez led the march through the streets of Austin to the steps of the State Capitol. The Knights were recognized for their dedication to Pro-Life causes including their purchases of sonogram machines. Knights of Columbus Chisholm Trail Council, No. 9368 is pleased to offer a scholarship opportunity for graduating High School seniors. The scholarship is available to children and grandchildren of Third Degree Knights in good standing. For details and the application form, please click here. The application must be received on or before March 29, 2019. You may also apply for a separate $1000 grant from the Texas State Council. Details on that opportunity are found in the next post, immediately below. The Texas State Council will award at least one $1,000 Educational Grant per diocese. Applications for these grants are due March 1, 2019. Winners will be announced after the State Convention. Note: These grants are from the Texas State Council; they are not related to the scholarships that Council 9368 will award in the Spring. An applicant must be a Knight of Columbus member in good standing of a council located in Texas, his wife, son or daughter. A granddaughter or grandson of a member in good standing in a council in Texas may apply if their father is not a Knight or is not in good standing. Descendants of deceased members or grandfathers who were in good standing are also eligible. Any graduating senior of a Catholic High School in Texas is eligible when sponsored by a local Council in Texas – even when the student’s parent or grandparent is not a Knight. Complete guidelines and the application can be found here.